During warm weather, I usually see a few skinks on my daily walk. Mostly I just see a blur of motion, as something about the size and color of an earthworm whisks itself through the grasses and pine needles, finally finding shelter under a fallen leaf or root. Today I saw three. Two shimmied off as usual, but one stayed out and eyed me. 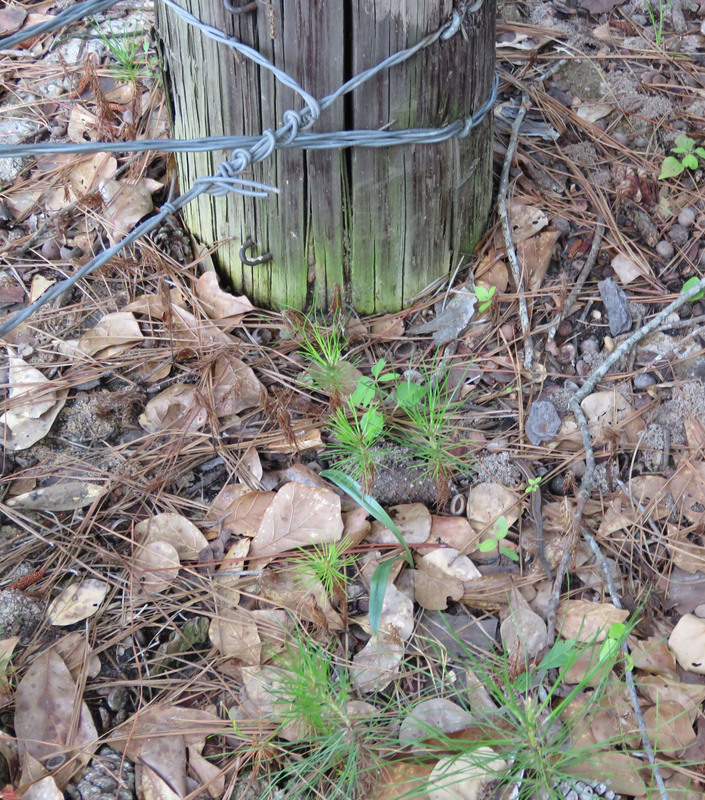 Somewhere in there is a skink. 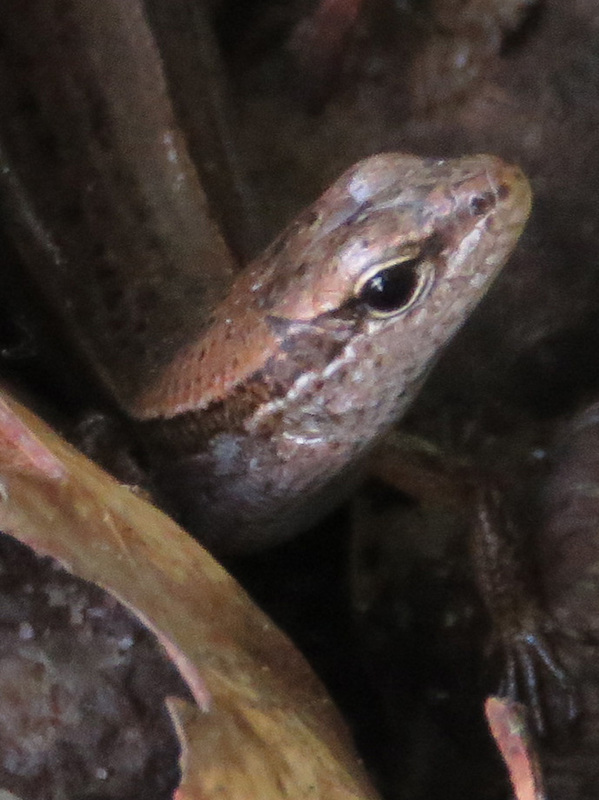 Ground Skinks are small smooth creatures, 3.5 – 5.5 inches long. Their legs look very frail. As I take pictures of these critters, sometimes I think that the beeping and flash of my camera must be to them what alien abduction stories are to us. 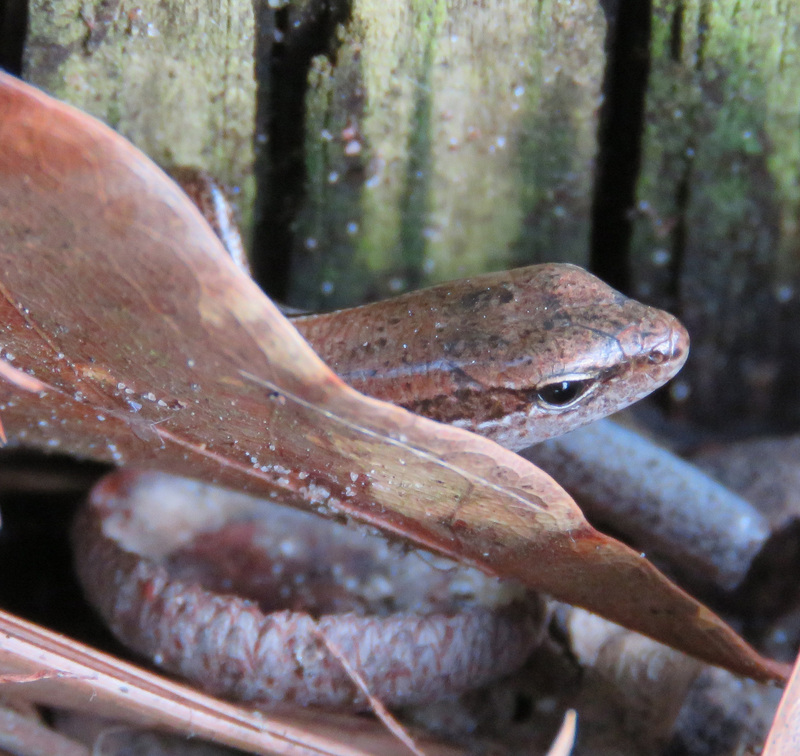 Most of the creatures either go about their usual business, or move away, but this little skink was the reptile equivalent of Richard Dreyfuss walking out to meet the Mother Ship. Its coloring blends in with the fallen leaves. You can see its very tiny toes. Here he is posed on an acorn cap, for scale. Flicking his tongue. 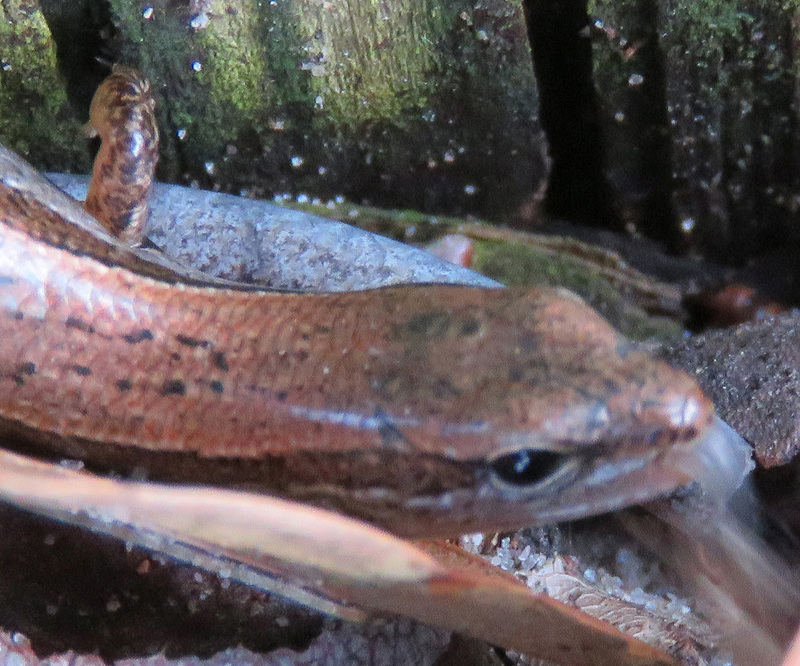 Skinks have thick oval tongues with notched tips, not forked tongues like snakes. I didn’t realize until viewing these pictures on my computer, that he is missing about half of his tail. I’m guessing he was equally curious on another occasion, and lost part of his tail to a predator as a result. These are amazing close-up photos. So, what is a skink? A reptile? A bug? Is it related to anything I would be familiar with? I’ve never even heard of them before. Sorry, I should have explained. Skinks are reptiles, in the same order as lizards and snakes, but they are in their own family. There are 15 species in North America. To me they look like smooth lizards, and they move more sinuously. The Wikipedia page on the order Squamata is extremely dry and confusing! Well, I started out looking for skunks! which didn’t help 😦 like your previous correspondent, I’ve never heard of skinks – fascinating creatures, and as ever, it is amazing what your computer close-ups let you see. I never even thought of the skink/skunk connection. I think you have given me an idea for a post! thanks! 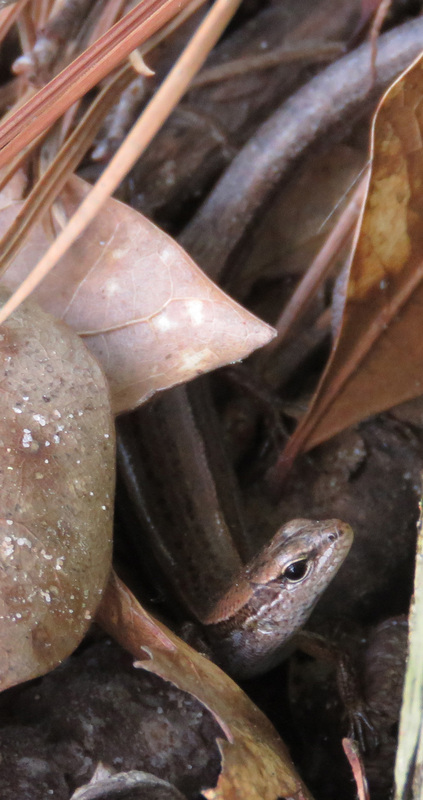 I had never heard of a skink before….great posts!